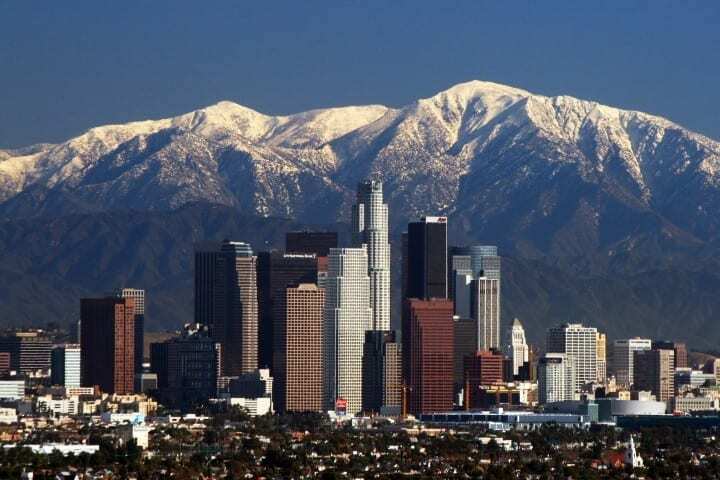 Los Angeles Mayor Eric Garcetti unveiled a plan last month that will require Los Angeles to structurally prepare for the impending major earthquake many scientists predict will happen over the next decade. The Los Angeles City Council discussed the plan this week, taking the first step at working out the kinks in the plan before it is approved. “Tied together, these actions will strengthen resilience in our City for decades to come,” Garcetti wrote in a blog post announcing the plan. So what does this plan actually say? According to the report, there are currently more than 29,000 wood-frame apartment buildings with five or more units in Los Angeles and nearly 16,000 of these are soft-story buildings. Garcetti’s plan will require these buildings, where one or more floors have wide unobstructed space where a stabilizing wall would normally be required, will need to be retrofitted over the next five years. The plan will also require the retrofitting of over 1,400 non-steel reinforced concrete buildings within 30 years. These structures are brittle and, without the rebar reinforcements that are put into concrete structures today, have a limited capacity to absorb seismic activity and an increased likelihood of collapse. “The biggest risk to our lives is posed by our older buildings, because the harsh reality is no building code in the world is retroactive, and however much we improve the building code it doesn’t make older buildings disappear,” Garcetti said told CBS Los Angeles. During an interview with the Planning Report, Jones said because of the amount of people living near the San Andres fault, they estimate that during an earthquake approximately 300,000 buildings would be damaged enough to lose at least 10 percent of their value and 1,500 would collapse. These mandates are useful to ensure structural stability in buildings that people may inhabit during a major earthquake. Including commercial and residential buildings, these retrofits try to not only minimize life lost but also structure loss. Although there is currently a voluntary retrofit program in place in Los Angeles, many property owners have not chosen to participate for whatever reason. These mandates will ensure safety of all older unreinforced concrete and soft-first-story buildings throughout the City. Retrofitting early will ensure that you receive the best deal possible for the work. It will give you your choice of retrofitters and you won’t be in competition with the thousands of other property owners who will need to retrofit their buildings as well. The “big one” can hit at any time and the sooner you prepare your buildings for this the better off you and your occupants will be. Los Angeles currently imports about 88 percent of its water supply through three aqueduct systems: the Los Angeles Aqueducts operated by the LADWP, the Colorado River Aqueduct operated by MWD, and the California Aqueduct providing water through the East and West Branches, operated by the California Department of Water Resources (DWR) (LADWP, 2010a). In the case of a major earthquake, water supplies will be at risk because the fault’s movement in the earthquake will break the aqueducts. This will affect not only residents but also city services that need access to a large supply of water. The report estimates that a San Andreas earthquake will trigger at least 1,600 fires. Without a reliable source of water, firefighters will not be able to do their jobs. Additionally, the supply pipes throughout the city will be in danger of rupturing as well as the aqueducts. However, recent advances in water pipe technology have shown that it is possible to have a resilient water distribution system. Water supplies are at risk because the aqueducts bringing outside water to Los Angeles across the San Andreas Fault. Without retrofitting, the aqueducts will be broken by the fault’s movement in the earthquake. The water system is the utility most vulnerable to earthquake damage, and that damage could be the largest cause of economic disruption following an earthquake. Portions of the system are more than a century old and vulnerable to many types of damage. Lack of water would impede recovery and the long-term loss of a water supply could lead to business failure and even mass evacuation. Developing a more resilient water system is imperative for the future of Los Angeles. Recommendations made with the plan will help to combat these issues and prepare Los Angeles for the worst-case scenario when it comes to water transportation. Creating a seismic resilient pipe network to ensure water distribution will be reliable in case of an Earthquake. Ensuring water safe for both use and consumption will help the city to function after a major earthquake. While it is still very wise to keep at least one gallon of water per person in your home per day for at least three days in case of an earthquake, it is comforting to know that you may just be able to use your tap. This is the epitome of “plan for the worst but hope for the best”. Most importantly, this allows firefighters to do their jobs. This should allow you to relax and focus on yourself, your family and your home instead of worrying about fires breaking out in your neighborhood that can’t be put out by the authorities because of a lack of water. Although you should probably keep at least one fire extinguisher in your home, just in case. While currently modern society is dependent on telecommunications, including cell phones and Internet access, these methods of communication were not widely available during the Northridge earthquake. Thus, there is no previous direct experience showing what could happen in the case of a large-scale seismic event. However, since an electric grid provides the primary source of power to telecommunications facilities, telecommunications are dependent on reliable power grids that are often shut down or otherwise disrupted in the case of natural disasters. The City should partner with service providers to remove barriers to bandwidth and internet access during emergencies so that internet access can be maintained after an earthquake. The City should create a consortium to develop solutions for failures in interacting utilities as they cross the San Andreas Fault in an effort to protect the power system at the fault crossing. Advance the earthquake early warning system. Communication is an important part of our every day lives but in the case of an emergency, it is vital to be able to communicate with loved ones both inside and out of the danger area. These plans will ensure that communication via the Internet and cell phone can be maintained, even if there is a large seismic event. Even still, there are a few things you should do to prepare for communicating after an earthquake. Getting batter-powered or solar-powered equipment to charge your electronics is key to being able to communicate with the outside world. The electricity in your home may go out, but you will still need to charge your electronics. You should also make a plan with your family of where to meet in case of an earthquake and what to expect in terms of communication. Don’t forget that it takes less bandwidth to text than it does to make a call and a text is more likely to go through in an emergency situation. Weinstein Construction has experts who can help all property owners seismically retrofit their homes. Contact Weinstein Construction for any of your retrofitting needs by calling 866-303-8987.